Ferris Bueller’s Day Off (1986) – What's New on Netflix Canada Today! High school student Ferris Bueller wants a day off from school and he’s developed an incredibly sophisticated plan to pull it off. He talks his friend Cameron into taking his father’s prized Ferrari and with his girlfriend Sloane head into Chicago for the day. 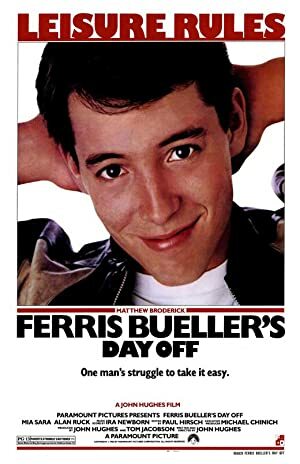 While they are taking in what the city has to offer school principal Ed Rooney is convinced that Ferris is, not for the first time, playing hooky for the day and is hell bent to catch him out. Ferris has anticipated that, much to Rooney’s chagrin.